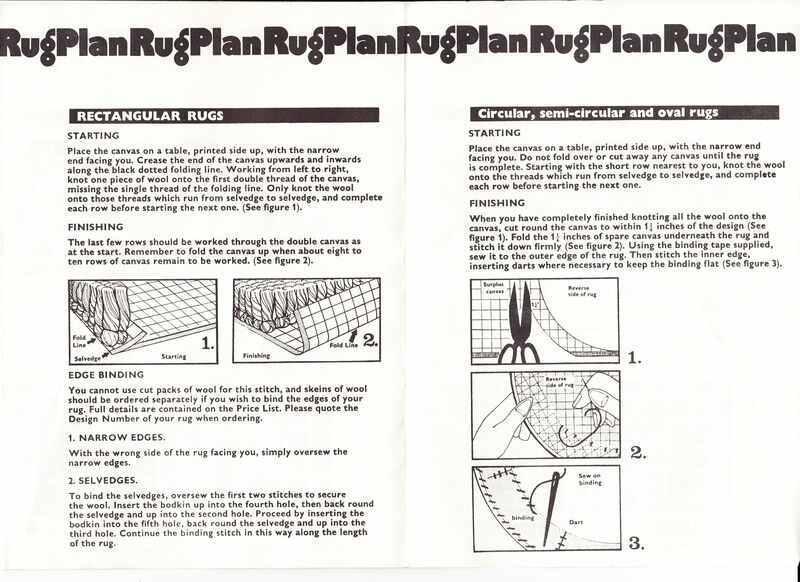 RugPlan produced both packs of pre-cut 100% "made in Ireland" wool and complete rugmaking kits. 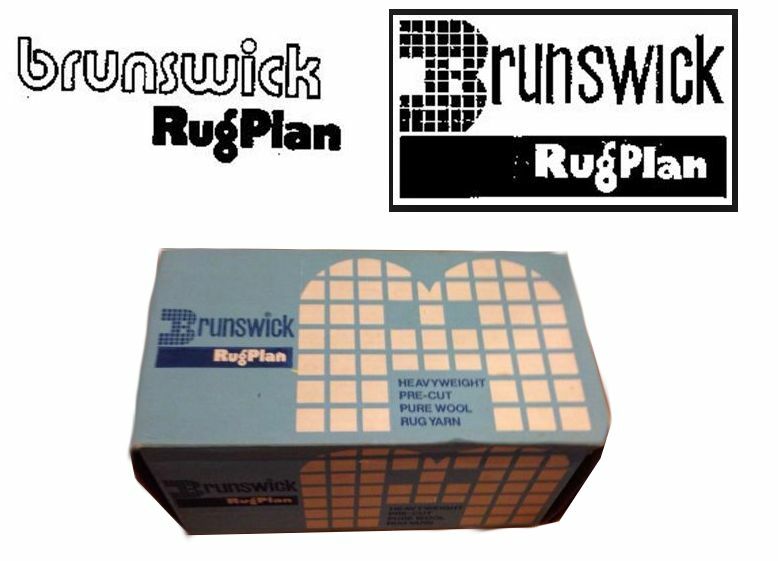 In North America, Brunswick produced RugPlan. Brunswick Worsted Mills, Inc began in New England in the 19th century; their original mill being on Brunswick Avenue, Plainfield, Windham County, Connecticut from the 1890s to the 1970s. They opened their Pickens, South Carolina plant in 1959 and had relocated their manufacturing there by the 1970s. They went into decline during the 1980s and discontinued numerous lines of yarn finally closing in the 1990s. 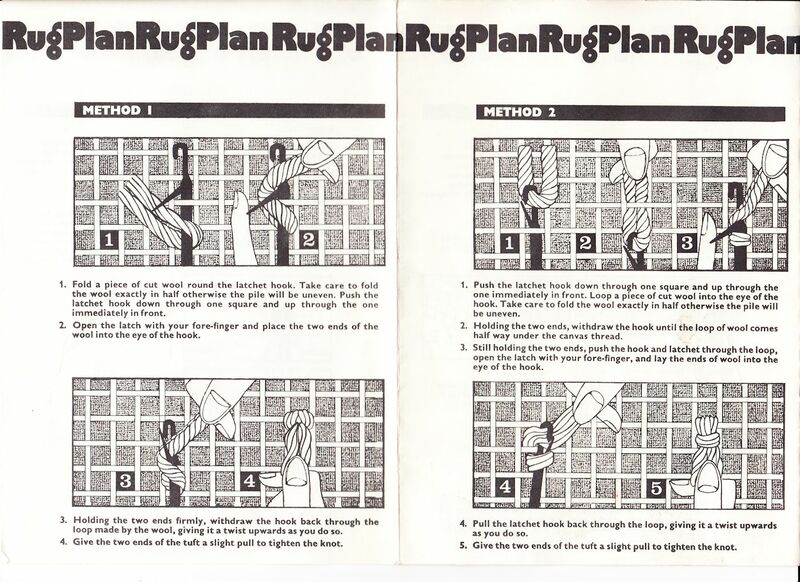 The RugPlan trademark was registered in 1975, but was cancelled in 1981. This suggests they were late-comers to the latch-hooking market, getting into pre-cut yarn just before latch-hooking declined in popularity. 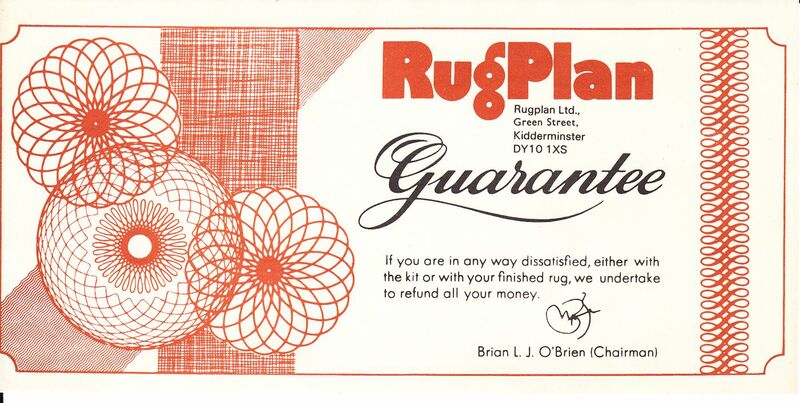 In Britain, RugPlan were based in Green Street, Kidderminster and they supplied kits and yarns. Like Readicut, their kits came in a two-tray carton. The company was incorporated in 1970 and filed trademarks for woollen yarn. 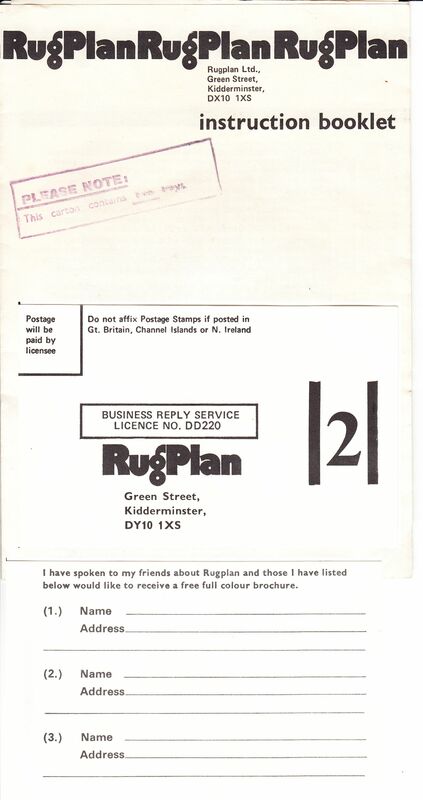 Rugplan was dissolved around 2002 (the year it last filed accounts) and the trademarks were not renewed. 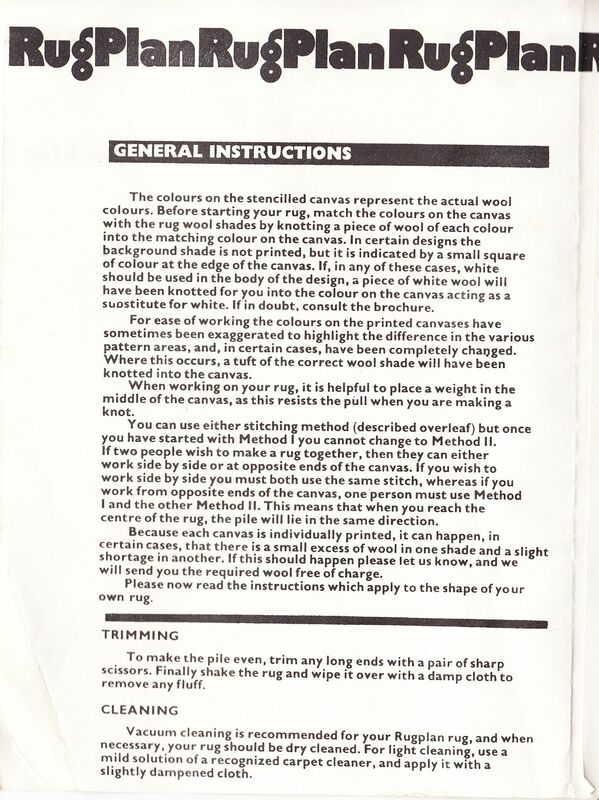 Rugplan kits and Irish wool can be found on online auction sites and is gorgeous wool to work with.